In what may or may not go down in history as one of Zynga’s smartest moves, the social gaming company has just filed an amendment with the United States Security and Exchange Commission that seeks to change its relationship with the world’s largest social network, Facebook. In doing so, it will now be subject to the network’s Terms of Service and won’t be subject to its display ads or its payment credit system. Zynga’s mission is to connect the world through games. In order to do this, Zynga is focused on building enduring relationships with consumers across all platforms from Facebook and Zynga.com on the web to tablets and mobile. Our amended agreement with Facebook continues our long and successful partnership while also allowing us the flexibility to ensure the universal availability of our products and services. We have streamlined our terms with Zynga so that Zynga.com’s use of Facebook Platform is governed by the same policies as the rest of the ecosystem. We will continue to work with Zynga, just as we do with developers of all sizes, to build great experiences for people playing social games through Facebook. Is this good for Facebook or Zynga? While this probably bodes well in Zynga’s mind, one must wonder who really instigated this entire process. Remember, it was only about a month or so ago when Facebook CEO Mark Zuckerberg told investors that he wasn’t happy with the performance of Zynga on Facebook and that other social gaming platforms were rising in prominence. Of course, a day or so later, Sean Ryan, Facebook’s head of game partnerships, praised the company. What does this all mean? Probably nothing, but the marketplace of social gaming has been getting mighty crowded and this might be a way to make room for others. But anything that causes Zynga to slip further away from the social network surely will affect the company’s bottom line — when it went public, Facebook stated that the social gaming company accounted for 12% of its revenue in 2011, or $408 million. However, recently, the amount it has been receiving from the company hasn’t been all that great. Remember that Zynga makes money when you buy virtual tractors or other fake goods to use in Zynga games like FarmVille and CityVille. If Zynga users are playing those games on Facebook, Facebook takes a 30% cut of the money from all virtual goods sold. One thing is for sure, Facebook benefits from now being able to launch its own social games — but will it? It already has a good ecosystem of game developers producing some of the top games in the social space. 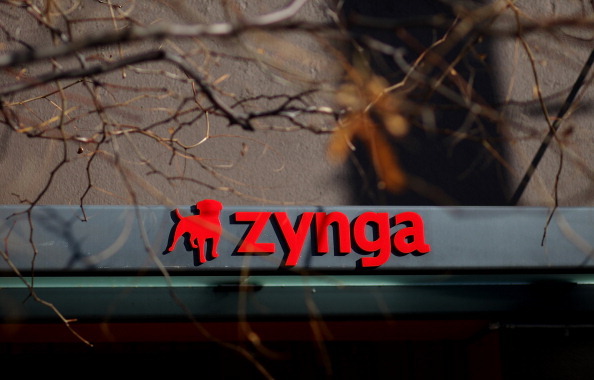 With Zynga filing the amendment with the SEC, this benefits looks to be to its advantage. As the stock price has fallen drastically since it’s debut on the public market, the company must be looking for anything that could turn it around. Last month, it released its third quarter earnings and it was a “catastrophic” one for them. What it hopes now is that with its soon-to-be freedom, it can look into other areas that may prove advantageous to it. Now that it no longer has to serve its games on Facebook’s website, some might think of this as the final straw that will collapse the company. On the contrary, what this could do is lead to more growth areas such as additional payments services like Boku, Zong, boxPAY, and many others. Additionally, other ad sources, such as Google AdWords or Microsoft Advertising can be leveraged to help bring in more users to its product. The company can definitely go after more platforms, especially the mobile and tablet space, which it said it will be pursuing. In after-hours trading, Zynga’s stock plummeted 12% following the news. It appears that investors didn’t like the news and this could bode badly for the company, at least in the immediate short-term.